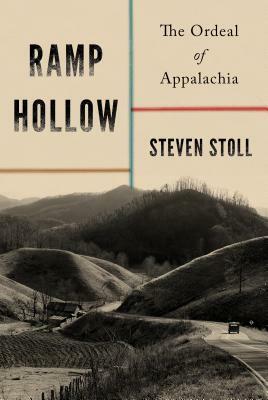 At the center of Ramp Hollow is Stoll’s sensitive portrayal of Appalachian homesteads. Perched upon ridges and tucked into hollows, they combined small-scale farming and gardening with expansive foraging and hunting, along with distilling and trading, to achieve self-sufficiency and resist the dependence on cash and credit arising elsewhere in the United States. But the industrialization of the mountains shattered the ecological balance that sustained the households. Ramp Hollow recasts the story of Appalachia as a complex struggle between mountaineers and profit-seeking forces from outside the region. Drawing powerful connections between Appalachia and other agrarian societies around the world, Stoll demonstrates the vitality of a peasant way of life that mixes farming with commerce but is not dominated by a market mind-set. His original investigation, ranging widely from history to literature, art, and economics, questions our assumptions about progress and development, and exposes the devastating legacy of dispossession and its repercussions today. Steven Stoll studies the ways that people think about resources, capital, and how the economy of exchange functions within the larger economy of Earth. He is an environmental historian, but his work is related to geography, social ecology, and the political theory of the seventeenth, eighteenth, and nineteenth centuries. Most of Stoll's writing concerns agrarian society in the United States. He is the author of U.S. Environmentalism Since 1945 and The Great Delusion: A Mad Inventor, Death in the Tropics, and the Utopian Origins of Economic Growth. Stoll is a regular contributor to Harper's Magazine and teaches history at Fordham University.